Scott Doran has joined Kegler Brown as a director in the environmental and energy law practice areas. Scott has more than 25 years of experience assisting individuals, small businesses and industry clients in managing federal, state and local environmental issues, facility siting and natural resource utilization. This experience provides a strong foundation to provide our clients effective short-term and long-term strategic advice and perspective. 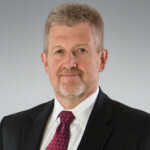 Scott is a trustee of the Ohio Wetlands Foundation and an active member of the Ohio Oil and Gas Association, serving on its Environmental and Midstream Committees. Scott is also involved in the Ohio Chamber of Commerce, where he serves on the Environmental Committee. Doran represented one of the first wetland mitigation banks in the U.S. since its inception of 1992 and recently helped resolve multimedia environmental issues for a large multi-family development in the course of bankruptcy proceedings. Doran received his Juris Doctor from the University of Cincinnati College of Law. Before attending law school, he earned his Master of Toxicology and Bachelor of Science in Zoology degrees, both from Miami University.